Pikachu, Charmander, and Eevee, oh my! If you’re looking for the perfect gift for the Pokemon superfan in your life, you’ve come to the right place. Here are some of the coolest (and cutest) Pokemon-related items you can choose from this holiday shopping season. Disclosure: The Pokemon Company sent us the Pokemon ornaments, Pikachu hat, and Poke Ball stocking holder for use in this story. 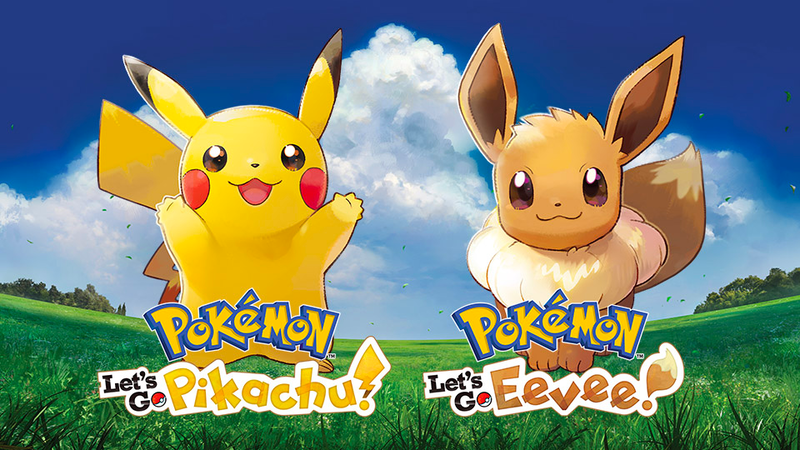 Pokemon: Let’s Go, Pikachu and Pokemon: Let’s Go, Eevee are the latest video games in the long-running Pokemon franchise. They’re set in a world inspired by Pokemon Yellow, which was released on Game Boy in 1999, but they offer a more casual experience than traditional Pokemon role-playing games (RPGs). 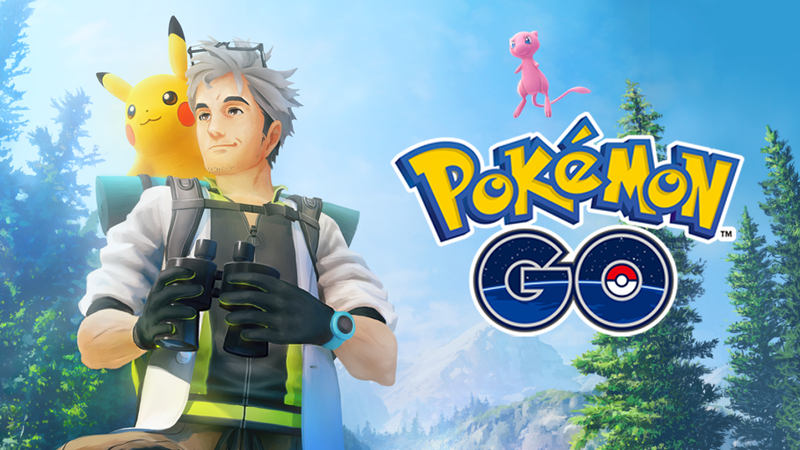 Each game allows players to become a Pokemon trainer and travel the in-game world, capturing Pokemon using a capture system that’s similar to the one from Pokemon Go. If you or your kiddos have played Pokemon Go, you can transfer critters from the mobile game into Let’s Go and add them to your team. If you want to learn more about Pokemon: Let's Go, Pikachu and Let's Go, Eevee, check out our review. 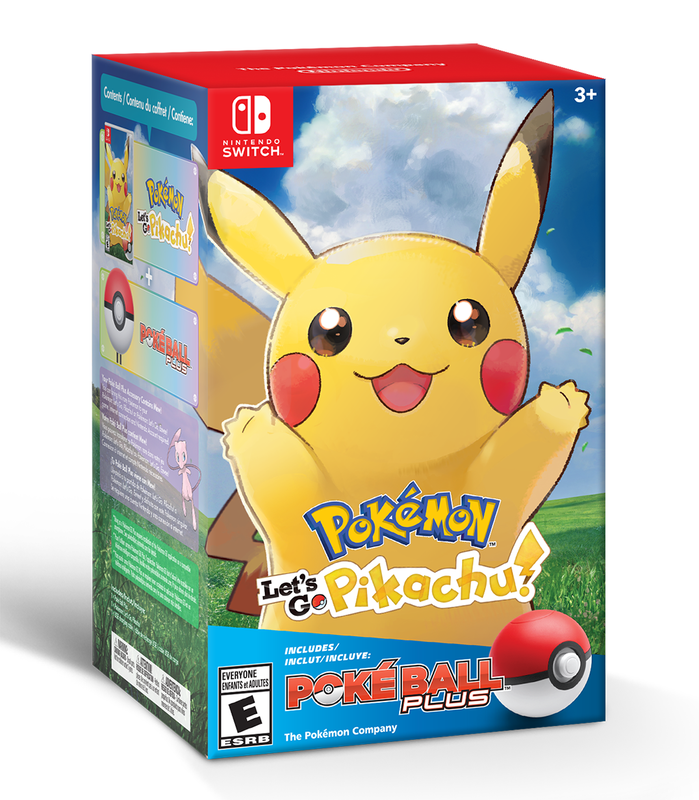 This bundle contains your choice of the Let’s Go games, as well as the new Poke Ball Plus controller. 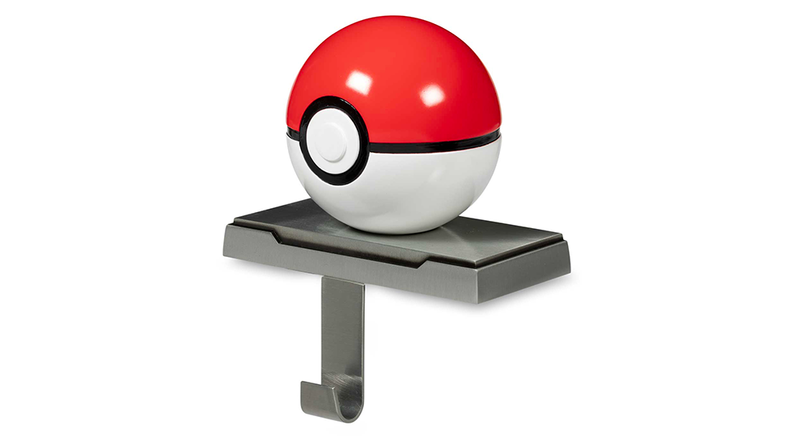 The Poke Ball Plus can be used to play the Let’s Go games, and players can store one of their Pokemon inside it to take it with them out into the real-world (shaking the Poke Ball Plus will cause the Pokemon inside to make a sound). Each Poke Ball Plus comes with the mythical Pokemon Mew inside from the start. Finally, the Poke Ball Plus is also compatible with Pokemon Go. Specifically, Pokemon Go players can use the accessory to try and capture Pokemon even when they’re not looking at their phone’s screen. If your family has yet to dive into the world of Nintendo Switch, and one of you also happens to love Pokemon, this bundle is really two gifts in one. 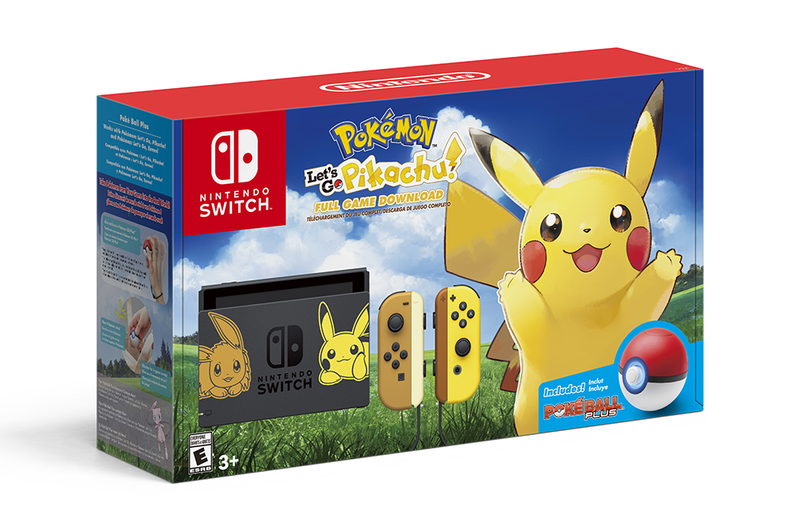 The console has a yellow, brown, and black color scheme, with pictures of Pikachu and Eevee on the front of the dock (the base the Switch console sits in when playing games on the TV) and silhouettes of these Pokemon on the back of the console itself. In addition to the themed console, this bundle contains a copy of either Pokemon: Let’s Go, Pikachu or Pokemon: Let’s Go, Eevee, depending on which bundle you choose to pick up. Finally, it includes the Poke Ball Plus. 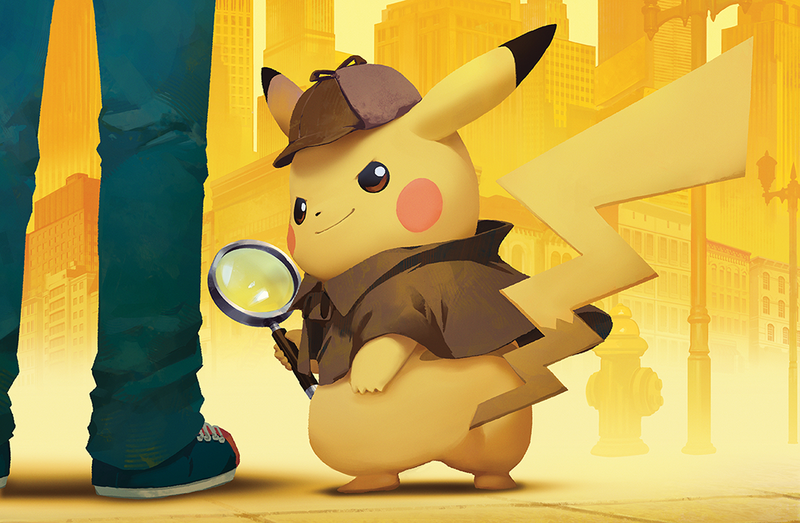 This unique Pokemon game follows a boy named Tim Goodman, who teams up with a talking Pikachu detective to solve cases around Ryme City. Players will need to investigate crime scenes, gather testimonies, and interact with other Pokemon to learn the truth behind each case. Don’t worry, though -- even though this game is about solving crimes, it’s rated E for Everyone, so it’s totally ok for littles to enjoy. You may be thinking, “What a minute, I thought Pokemon Go was a free game?” It absolutely is, but it also offers optional in-app purchases, letting players purchase Poke Coins that can be spent on all sorts of in-game goodies, from egg incubators to upgrades to their Pokemon storage limit. If you want to purchase some Poke Coins for a loved one, you can pick up an iTunes or Google Play gift card (depending on whether they play on an iOS or Android device, respectively), and then make sure they know the card was purchased with Pokemon Go in mind. These cards are available at most retailers. 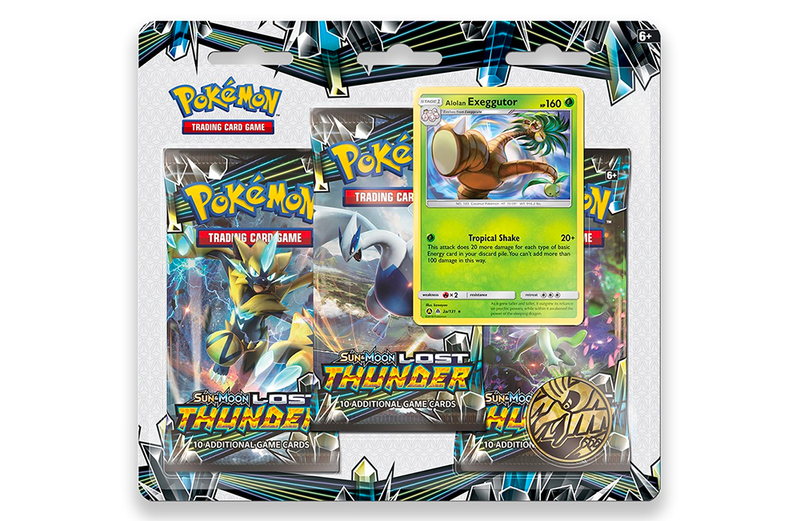 The Sun & Moon—Lost Thunder expansion to the Pokemon Trading Card Game was released in early November. The entire expansion features over 210 cards, including 13 Pokemon-GX cards and four Ultra Beasts, as well as more than 20 Trainer cards. Whether you know someone who likes to play the game competitively, or just collect the cards for their artwork, you can pick up Lost Thunder cards in small booster packs, larger theme decks, and even special collections at stores like Target and Walmart. The cost will vary, depending on how many cards you’re looking to pick up. For instance, a special bundle including three booster packs, a metallic coin and a special promotional card featuring the Pokemon Exeggutor can be picked up at Target for $12.99. A single booster pack, meanwhile, can be a great stocking stuffer at just $3.99. Kids and adults alike can have tons of fun playing (and collecting) the Pokemon Trading Card Game without purchasing any accessories, but if you’re buying a gift for a dedicated player, these are some cool (and useful) items to look into. Pokemon Center (the official online store for Pokemon merchandise) has a variety of Playmats for $24.99 each. These are placed on a tabletop (they’re made of a material that grips to hard surfaces), letting players safely place their cards on top of them during matches. 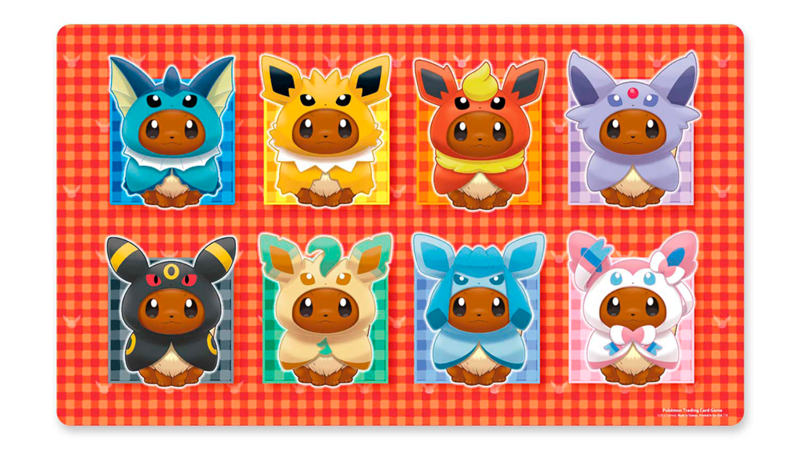 Check out this adorable playmat featuring Eevee that are wearing capes representing the Pokemon's many possible evolutions! Card sleeves and deck boxes, meanwhile, are helpful items that can protect cards from damage, as well as help players organize their collections. Pokemon Center has a wide variety of binders priced at $4.99 and up, deck boxes that start at $5.99, and packs of 65 card sleeves for $7.99. There are over 800 individual Pokemon in the Pokemon universe, and even more Pokemon-themed clothing options. Pokemon Center is a great place to start your search. There, you can find all sorts of t-shirts for men, women, and kids, as well as hoodies, socks, beanies, and more. Keep in mind, though, most major apparel retailers carry some kind of Pokemon clothing, so check out stores like Target, Walmart, and Kohl’s if you’re looking for something specific. Here are a few of our favorite Pokemon-related clothing items of the moment. This adorable turquoise t-shirt is available in adult sizes. 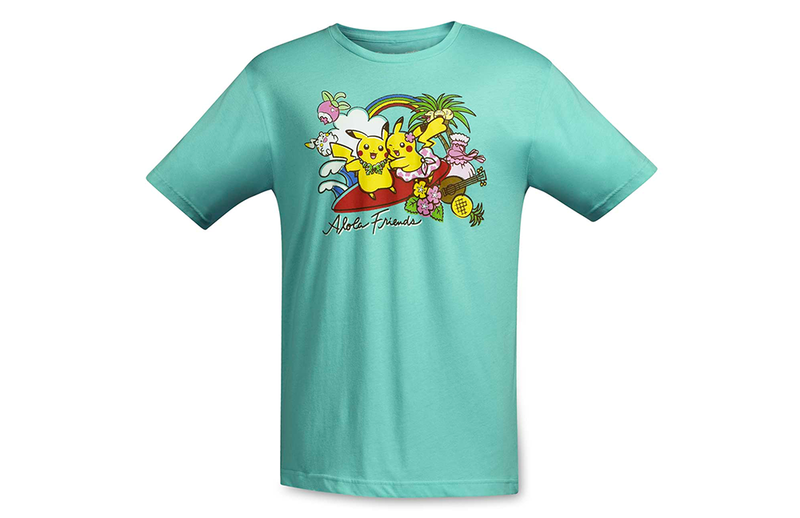 Its tropical print features a male and female Pikachu surfing the waves, along with the text “Alola Friends.” The Alolan region of the Pokemon universe is the setting for the Pokemon Sun and Moon video games on 3DS. This yellow zip up jacket has a hood complete with Pikachu’s cute little ears. The Pikachu print on the front of the jacket is also super cool. 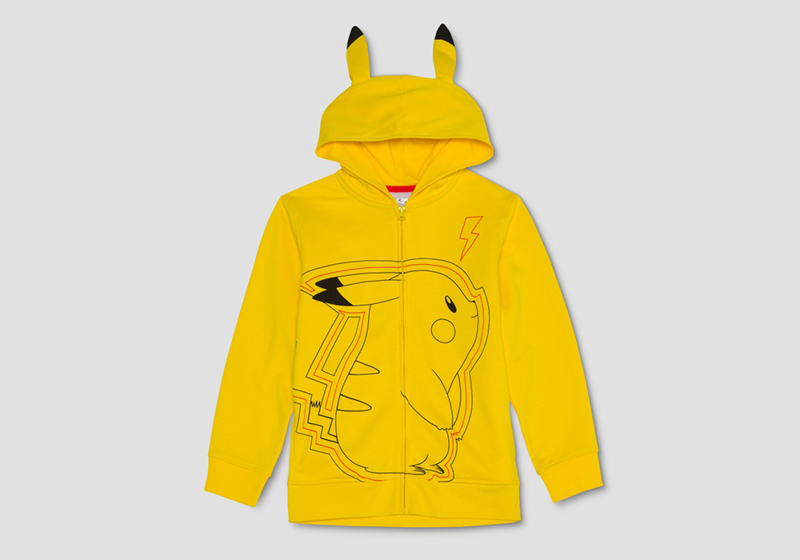 This jacket is available in boys’ sizes, though similar items are available for adults, like this Pikachu jacket on Amazon. Pokemon isn’t just about Pikachu. 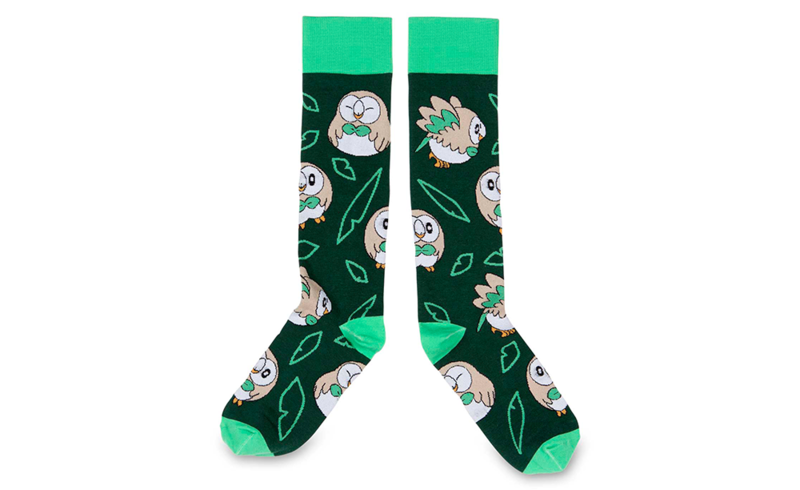 These adorable green socks feature Rowlet, one of the three starter Pokemon players can choose from in the Pokemon Sun and Moon video games on 3DS. They come in adult sizes, but stores like Target also carry cute Pokemon socks if you need something for someone younger. Check out these six-packs of socks for boys and girls. 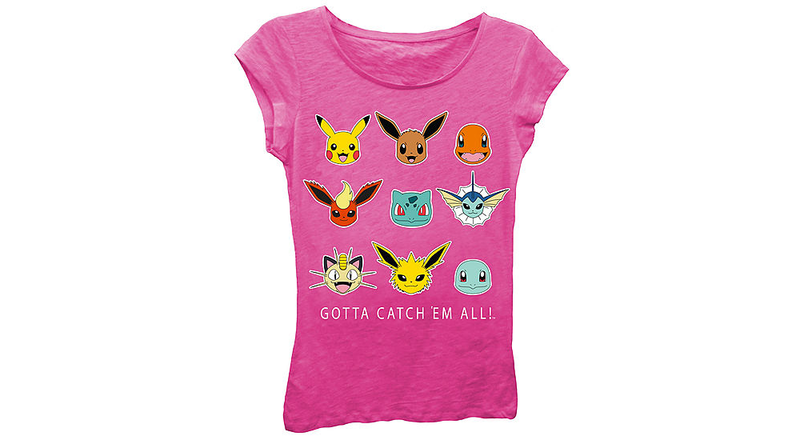 Available in girls’ sizes, this hot pink t-shirt features nine Pokemon from the original generation of the series, including Pikachu, Eevee, Charmander, and Meowth. Similar to Pokemon clothing, Pokemon toys are available at most major stores, from Amazon to Walmart and beyond. Here are a few of our favorite picks this season. Available At: Target, Best Buy, etc. 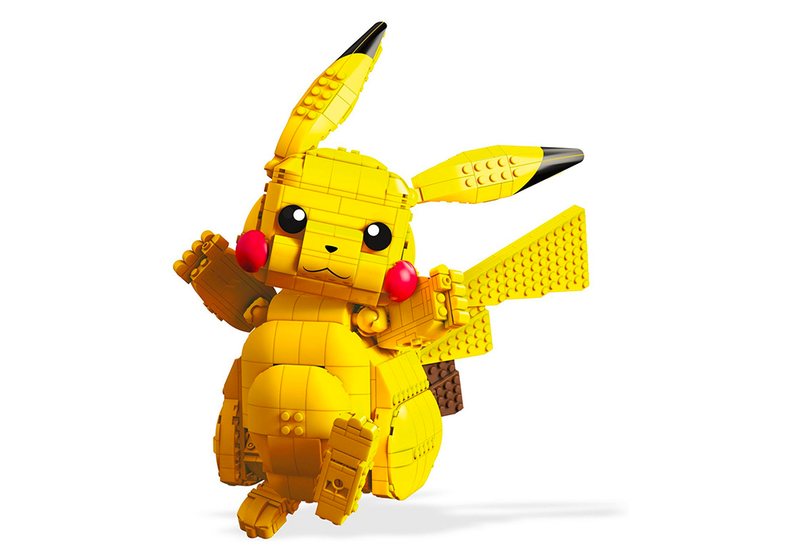 This building kit lets kids construct an adorable 12-inch tall Pikachu out of 806 pieces. Once it’s built, kids can move Pikachu’s arms and legs to put the Pokemon mascot into different poses. This one’s recommended for kids eight and up, due to the small pieces. 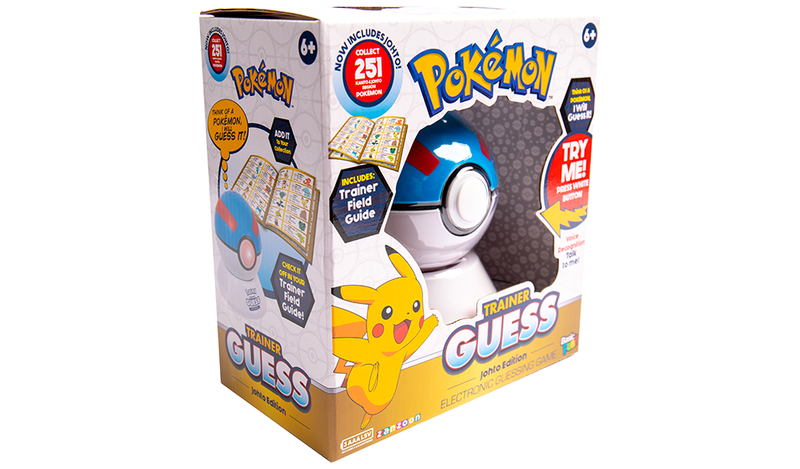 This electronic guessing game asks players to think of a Pokemon, and the device will try to guess which one it is by asking them yes or no questions (it has voice recognition, so kids can answer using their voice). The game only knows the 251 Pokemon from the first and second generations of the Pokemon universe (those first seen in the Pokemon Red, Green, Gold, and Silver video games), which are featured in an included book, so kids know which critters to think of. The Pokemon Trainer Guess Game is recommended for kids 6-and-up. Build-A-Bear Workshop offers a variety of Pokemon stuffed animals (like Pikachu and Eevee, among others), with the adorable penguin Pokemon Piplup being the newest. 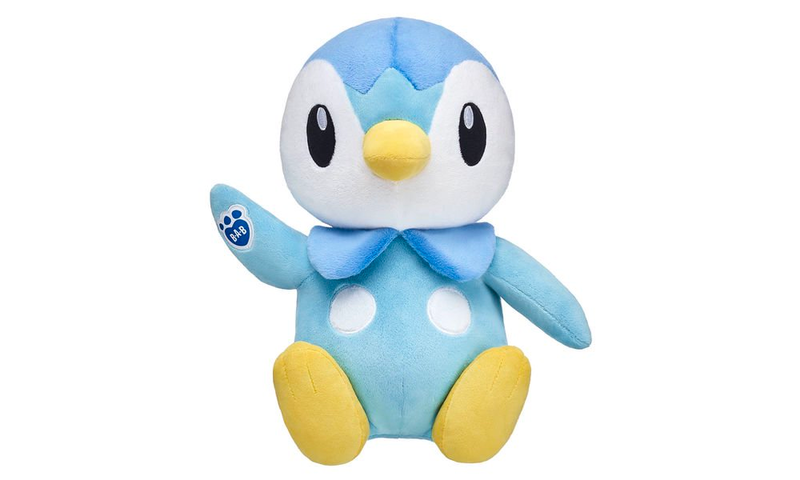 If you want to buy this critter online, the only way you can (currently) is by picking up the $60 Online Exclusive Piplup Bundle, which includes the Piplup stuffed animal, two outfits (a hoodie and a parka), a sound device that will be inserted into the stuffed animal (it makes six different sounds), and an exclusive Piplup card for the Pokemon Trading Card Game. Piplup can be picked up on its own in stores for $28. If you’re looking for the perfect present for an older Pokemon fan (or a responsible youngster), check out these collectibles they’re bound to love. These premium figures are perfect to put on display. This set includes a figure of a Pokemon trainer that can be posed into different positions. Owners can also choose between two faceplates, which change the figure’s expression. 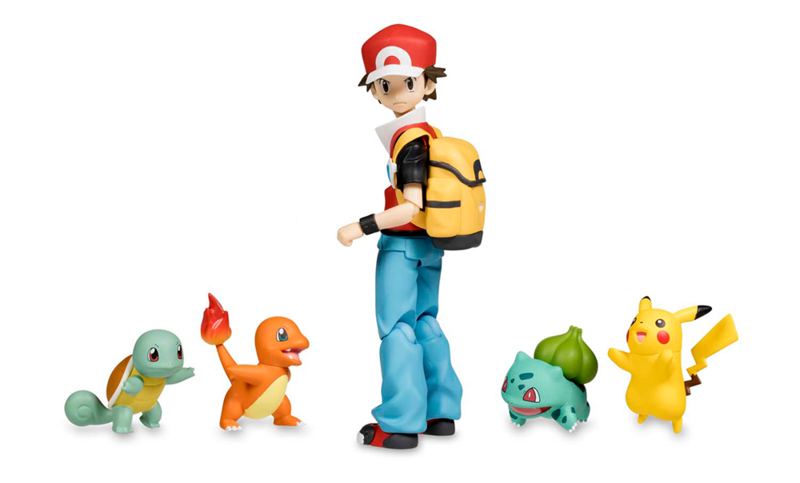 In addition to the trainer figure, the set includes figures of Pikachu, Bulbasaur, Charmander, and Squirtle. You may be able to find a different version of this set elsewhere, but the Pikachu figure itself is exclusive to the Pokemon Center. A small Poke Ball and trainer backpack are also included in the set. If your teens are into collectible pins, the Pokemon Center has tons of cute and cool sets to choose from. 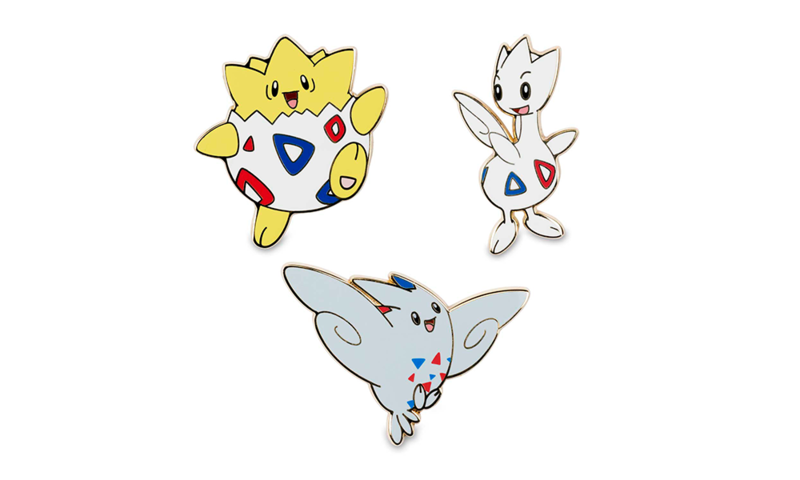 One of our favorites is this set of three pins featuring Togepi, Togetic, and Togekiss. Each pin is “about” 1 3/4 inches tall. What do you get for the Pokemon fan who has everything? How about a massive bean bag chair shaped like our favorite sleepy Pokemon, Snorlax? This thing is huge -- four feet long from head to toe, and more than two feet across. What better place to flop down and play some Pokemon games on Switch or 3DS in adorable comfort? For 2018, Pokemon Center released a line of adorable holiday merchandise, letting you bring Pokemon into (almost) every part of your holiday celebrations, from trimming the tree to sending out greeting cards. Here are just a few of the items you can choose from. Poke Balls are round, ornaments are (sometimes) round - it’s a perfect match! 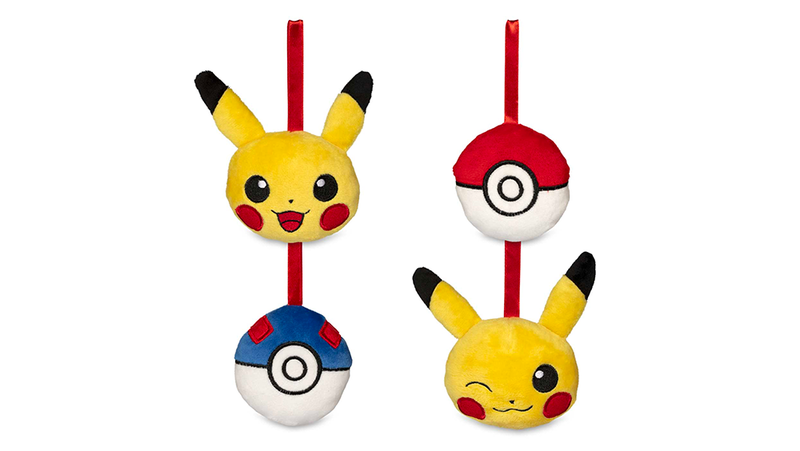 This four-pack of soft plush ornaments includes two Pikachu emoji-style faces, a Poke Ball, and a Great Ball. Since they’re stuffed, they’re not breakable, so they’d make a great addition to any decorations you may have in your littles’ rooms (or even your main tree - we’d be down for that). You can also go outside the box and use them for package decorations, giving the recipient two gifts in one! This festive hat is totally giggle inducing. 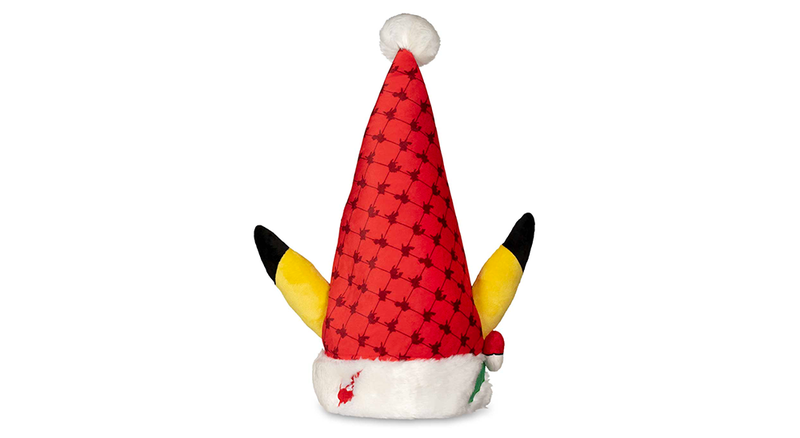 It features Pikachu silhouettes on a red background (the fabric is super soft) with Pikachu’s ears sticking out from the sides. The hat is finished off with a Poke Ball ornament on its trim. This hat fits an adult head just fine, but it may be too big for the youngest Poke fans. No Pokemon holiday display would be complete without an appropriately-themed stocking holder. This Poke Ball stocking hook is really heavy and sturdy, so we’d feel comfortable hanging a decent amount of weight from its hook. The stocking holder comes packaged in a protective box so you can keep it safe year after year.